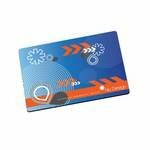 Promotional counter mats are a great way to make an impact for your organisation on a counter or table. These counter mats can be printed up to full colour and really do create a colourful impact. They are an ideal way to advertise and promote your company or a specific marketing campaign and also protect counters from general wear and tear. One of the major keys to success for any business is an effective marketing strategy. You need to inform customers of what your business can offer them. You need to constantly remind them why you’re such a great company to work with. 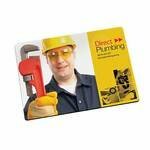 Promotional counter mats are an ideal way to market and promote your company. They are a cheap and extremely effective promotional gift. With printed counter mats, your brand will be noticed by lots of different people in a variety of different areas. All our promotional counter mats can be printed with your logo or marketing message. Printing can be done in up to four spot colours. If you need any help choosing the right printed counter mat for you, or you would like help with your artwork, then contact our friendly promotional consultants. We will be more than happy to help. Call us on 0800 158 3080 or email us. 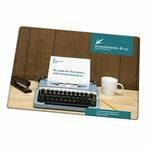 We will be dedicated to creating the perfect promotional counter mats for your company. At Redbows, we provide a wide selection of personalised counter mats, so you can choose the one which most accurately reflects your company’s image. Printed counter mats are available in A2, A3 and A4 sizes so you can choose the size which best compliments your advertising style. Plus, with promotional counter mats, you can include as much marketing information as you like on the mats, so there’s no need to place lots of restrictions on your artwork. Personalised counter mats make great giveaways at trade shows or marketing events. They are striking and attractive, so they are sure to get your brand noticed by a wide audience. Why not hand these out printed counter mats at your next marketing event? Your customers will always have your contact details at their fingertips, and you business will gain long-term brand exposure. Sound good? 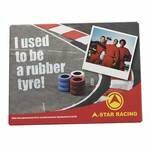 Then invest in our promotional counter mats today and start boosting your marketing campaigns. Who can use Custom Counter Mats? Counter Mats are an effective point of advertising. Perfect for restaurants, retail stores, beverage promotions, schools and motor garages. Counter Mats allow each individual to view your logo or message every time they make a purchase. We offer a large selection of counter mat options. Can you supply custom or bespoke counter mats? We have a standard range of counter mats and can supply custom shapes and bespoke sizes. These are quoted on a project by projects basis and will be made using a special cutter if the shape and size is non-standard. Are counter mats hard wearing? Counter mats are made from a strong foam or rubber material and will last for many years if they are cleaned and looked after. Like any other product using this material, the important point is to ensure the imprint is kept clean and free of grease and dirt.